As you know, we update a large number of courses every year to keep up with regulatory requirements, to add fresh content, and to provide the best workforce learning experience possible. As part of that effort, here’s a quick head’s up that we’ve updated our existing Hand Tools for Electrical Work course. If you already have this course in our eLearning format, you don’t need to do anything to get the updated material. We’ll get it to you. “eLearning” format in this context means that you’ve got the course (in SCORM or AICC format) inside a learning management system (LMS) or you’ve bought a subscription to the course from us and currently stream it online from our website. As always, please feel free to contact us if you have questions. And if you don’t yet have the course, now’s the time, because it looks awesome! Continue reading for more information about the updated course and to see a short sample video. Convergence Training are safety and health training experts. Click the links to learn more about how we can help you. Here’s a quick sample video from the newly updated Hand Tools for Electrical Work online course. If you are excited about this new course (and you should be! ), you might want to know we have many similar courses in our libraries on health and safety training and manufacturing and industrial maintenance. These include series of courses on electrical safety and working with electrical systems (as well as many more). And hey, before you go, why not download our free Manufacturing Training Guide? 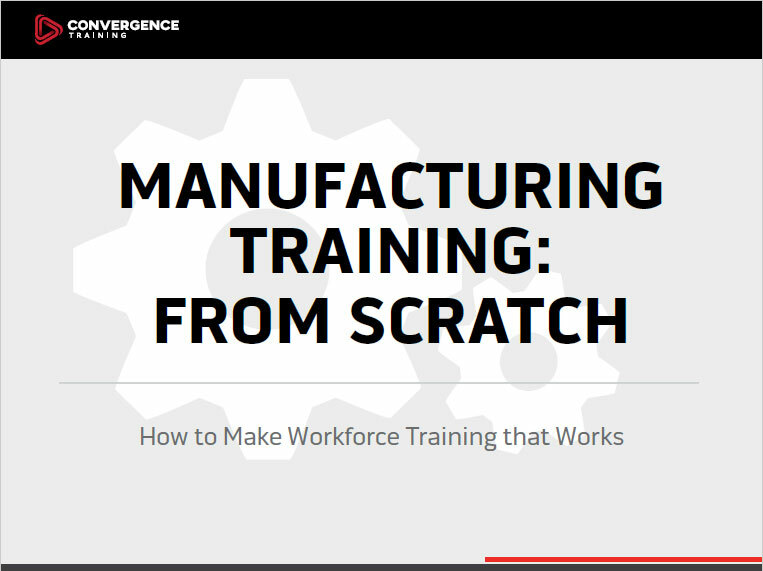 Create a more effective manufacturing training program by following these best practices with our free step-by-step guide.